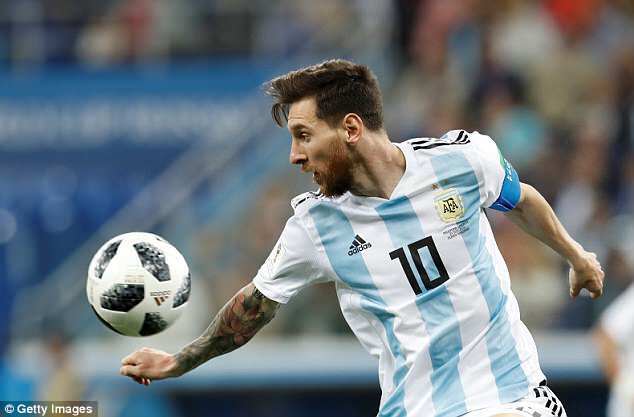 Why Are People So Happy To See Lionel Messi Brought So Low At World Cup? Russia's air transport regulator said on Saturday that a Russian passenger plane carrying Peruvian soccer fans from the World Cup city of Ekaterinburg to Tyumen in Siberia landed safely on Friday after an engine fault caused the cabin to fill with smoke, Reuters reports. Safety concerns have plagued Russia's airline industry, which has witnessed multiple fatal crashes in recent years, and the engine of a plane carrying Saudi Arabia's soccer team caught fire earlier this week. Russia's state aviation agency, Rosaviatsiya, said on Saturday that a plane was carrying Peruvian fans back to Moscow via Tyumen after watching their national side 1-0 to France in Ekaterinburg, had suffered engine failure. "During the landing approach there was a failure in the second turboprop engine," Rosaviatsiya said in a statement. "As a result of the abnormal engine activity, smoke from overheated oil got into the passenger cabin of the aircraft through the air-conditioning system." "The crew acted as instructed and landed the aircraft as usual. The plane taxied in independently, the passengers left via the stairs without using the emergency equipment, "she said in written comments to Reuters. Utair is now working with aviation authorities to find out if a foreign object got into the engine, she added. Are my methods unsound?’ the renegade colonel, Kurtz, asks Captain Willard in the film Apocalypse Now. ‘I don’t see any method at all, sir,’ Willard replies. Argentinian football’s Armageddon is organised along similar lines. Jorge Sampaoli did great things as manager of Chile but it is easy to see why he is detested and distrusted by Argentina fans. So, sure, Messi was subdued. You would be subdued, too, if you watched your goalkeeper chipping the ball to Ante Rebic, who volleyed it straight back past him into the roof of the net for Croatia’s opening goal. You’d be subdued if your manager was pacing the touchline, ashen and sweaty, looking like a man on the verge of a nervous breakdown. The Argentina defence was a shambles against Croatia and Iceland and their midfield was not much better. Javier Mascherano was a fine player once but he plays his club football for Hebei China Fortune now and he looked 34 going on 54 against Luka Modric and co. Messi might have missed a penalty against Iceland but he worked tirelessly to try to spark his team into life. By the time he faced Croatia, admittedly, he looked as if he already knew the game was up. Does any of this affect the way he will be viewed by future generations? Well, it will count against him in the arguments about where he stands alongside Pele and Maradona, in particular, if he never lifts the World Cup. But the same applies to Ronaldo. Messi at least dragged an average Argentina team to the final against Germany four years ago in Brazil. That already seems to have been forgotten. It also seems to have been forgotten that for a player who can’t hack it without Andres Iniesta, Xavi, Luis Suarez, Neymar and the rest of his Barcelona buddies, he has somehow managed to blow away a legendary striker like Gabriel Batistuta and establish himself as his country’s all-time leading scorer. He has 64 goals in 126 appearances for Argentina. Not bad for someone who is accused of not caring when he plays for his country. If anything, he cares too much. As for Ronaldo, his contribution to this World Cup has been electrifying. They were lucky, those who were there in Sochi, to see his stunning performance against Spain and his dogged, indomitable refusal to accept that he and his Portugal team were beaten. His athleticism, his sheer force of will and the technical beauty of that last-gasp free-kick marked him out once again as one of the all-time greats. Does that diminish Messi? No. None of what has happened at this World Cup has changed my opinion one iota about him. Nor has it tarnished any of the memories I have of seeing him play live. Every single one, and particularly the time I took my son to watch him perform at the Nou Camp so he could say he had seen him play, has been a privilege. It is a shame he is not lighting up this tournament. It would be better for it if he were. Still, two ordinary games for Argentina is nothing when set against the canon of his achievements. Nothing. Because when I say ‘achievements’, I don’t just mean Champions Leagues won or La Ligas lifted or records set. I mean the entertainment he has provided for more than a decade. If there is a difference between Messi and Ronaldo that strikes me most, I think it is that. Ronaldo seems to be doing this for his own greater glory. Messi is more self-effacing. He is doing it for the joy of it. I love watching Messi play. I know Ronaldo is a magnificent player but I can’t get past mere admiration for him. Unconsciously or knowing, there is a love of the football aesthetic in what Messi does. There is a desire to make the game beautiful for people to watch. And here is the irony for those who persist in saying that Messi cannot do it without a great team behind him: maybe that’s because he is a team player. Ronaldo, first of all, is an individual. He puts himself first. At Barcelona, Messi plays for the team and the team play for him. His genius is unselfish. Ronaldo’s is not. 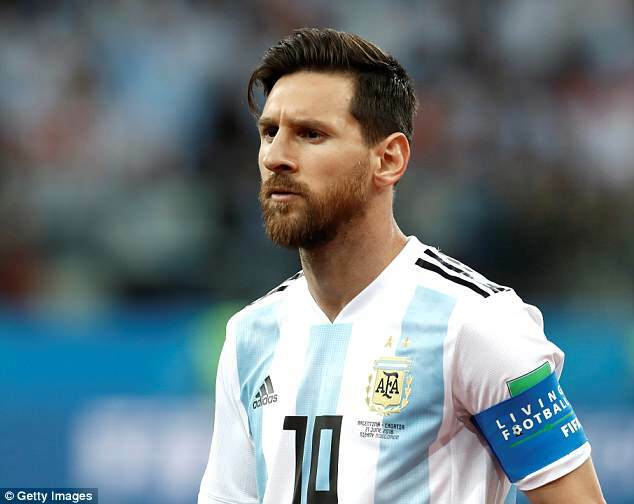 Whatever happens at this World Cup, whether Portugal win the thing and Argentina lose to Nigeria on Tuesday and don’t even make the second round, I’ll always prefer Messi. If only one man of this generation is to be anointed the successor to Pele, Cruyff, Maradona and Zidane, it can only be him.